Just prior to the release of Night Of The Shooting Stars Don Kerr announced that he was leaving Rheostatics. He had been doing double duty with them and also as drummer for Ron Sexsmith and had to make a decision on one or the other. 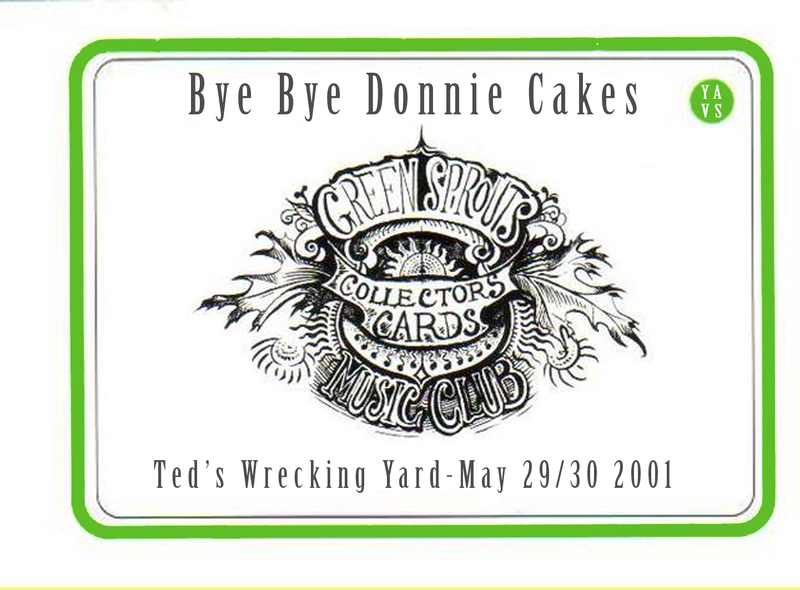 Two final shows were announced to take place at Ted's Wrecking Yard in Toronto which had become the home of the band prior to moving their annual residencies to The Horseshoe Tavern (following Ted's closure). Don wrote the set list for both nights. This is a soundboard recording of Don Kerr's 2nd last show on May 29 2001. Originally the plan was for us to release this as a bonus to an official live album from the following night but at this point it is probably best to just put it out there. The sound from this night had some buzzing and also some of the guitars were way down in the mix (which was corrected the following night). These 2 "discs" have been edited for lengthy breaks without audio as well as processed for better sound. The sound fades at the end of the second disc as the source tape ran out. This set features Kevin Hearn on keyboards and a run of songs from Harmelodia with a few songs that didn't get played often such as Home Again, The Woods Are Full Of Cuckoos, The Music Room, The Reward, Here To There To You and The Pooby Song. It also features a very rare performance of The Harmelodian Anthem.